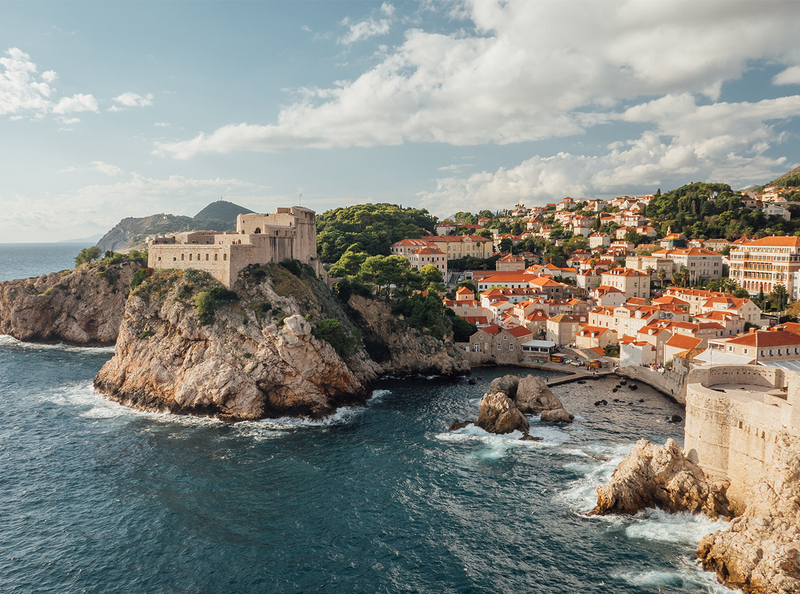 It’s easy to mistake Dubrovnik for a TV set—because it is one. The UNESCO-protected town backdrops Game of Thrones, making it one of Europe’s most popular coastal escapes of late. But hey—the hospitable locals aren’t dwelling, and neither should you. Look west over the sea and out to the islands. That’s your playground (read: leisure ground) for the weekend. And, at the end of it all, whether you’re sunburnt or tanned, you’re going to be beaming. There’s only one way to truly relax: By the water, outside the touristy center, and by investing in a nice hotel. See, the public beach just south of Old Town is as packed as the city center, and it’s pebbled, so there’s a fight for comfortable seating. That’s the biggest reason to get a seaside hotel—for the private waterfront access, with Aperol spritz on demand. You’ll get roped-off swimming zones, comfortable chairs, oftentimes a private pool, and sunset views. (On top of cush accommodations, no less.) The two we suggest most are Hotel Excelsior and Hotel Dubrovnik Palace. Hotel Excelsior just finished renovations and is the buzzed-about “favorite” among visitors. Its location just south of the city center (a few minutes’ walk) is a big selling point, though you’ll have a hard time leaving the private waterfront, which humorously stares out to the crowded public beach. This town burns hot in summer, and those loungers, umbrellas, cold drinks, and sparse swimming water (plus a closed off, natural wading pool) are clutch. You can even walk three paces to Prora, one of three restaurants onsite, for a snack between dips or a romantic dinner staring at the sailboat-dotted, moon-bathed sea. There’s an indoor pool and hot tub for the kids (or you), a spa with a steam bath, Roman bath, and Finnish sauna—plus soft gray-blue rooms with wood paneling that complement your mood for the weekend. Hotel Excelsior cares that you feel removed from the bustle of Old Town, even if you’re five minutes away. 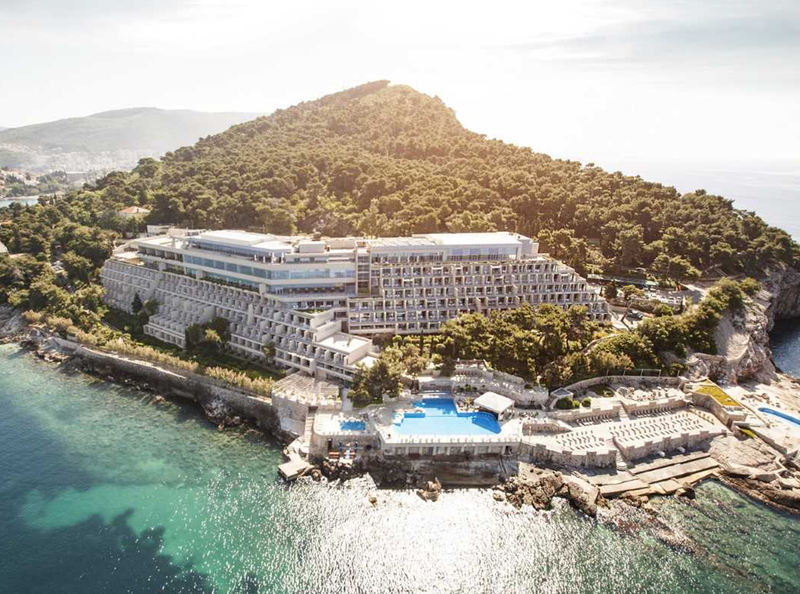 Hotel Dubrovnik Palace, is a 10-minute bus ride north from the center, built over a westward cliffside and guarded by a pine forest park. This “remote” location is one of its selling points, since you get the best uninterrupted sunset in town. It’s built on a grade, allowing a cascade of balconies from each room, and it all overlooks a glowing outdoor pool with swim-up cocktail access at Lanterna Glorijet bar. (The property has three pools in all, plus a tennis court, jogging path, and PADI diving center.) Meander down to the water for a private dunk, go for a wooded hike, or have a drink on your terrace while you watch the sun set. 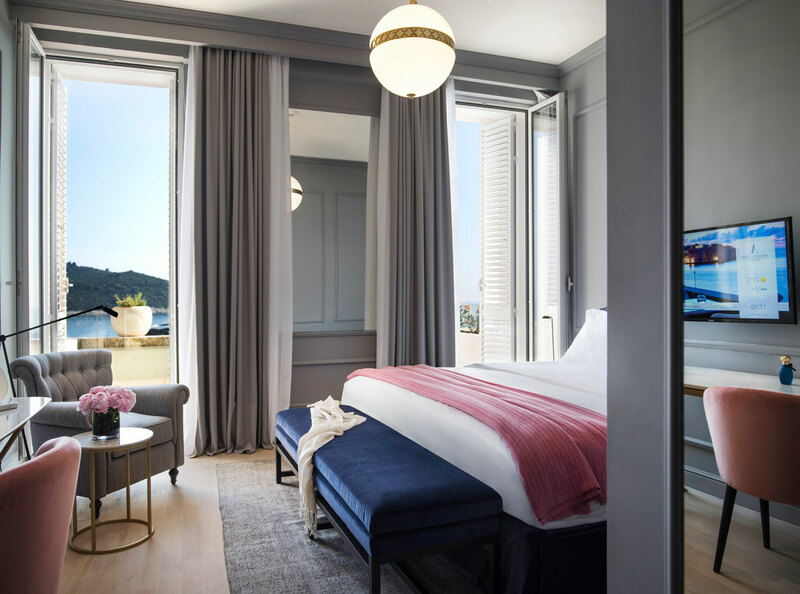 The rooms have a bright aesthetic, too: where Excelsior aims for tranquility, Dubrovnik Palace lands somewhere closer to self-reward. You’ll feel it most from the hotel’s lobby, with panoramic views of the water. This list is shorter than many other destinations, since most of them last a while, and you can fill an extended weekend without having to hustle around—at least not on land. You should be spending half of each day in some state of repose, relaxing at the hotel or on an island or boat cruise. Also, it’s worth investigating the Dubrovnik Card tourism perks, which also include bus transportation if you’re staying outside the city center. The card is sold in 1-3- and 7-day bundles and its benefits increase with each. It includes the city walls and a handful of museums. Old Town wall tour and cable car: These are the main Old Town attractions, aside from just witnessing the city and ambling about its hilly side streets. (Do that after dark, to get away from the crowds.) 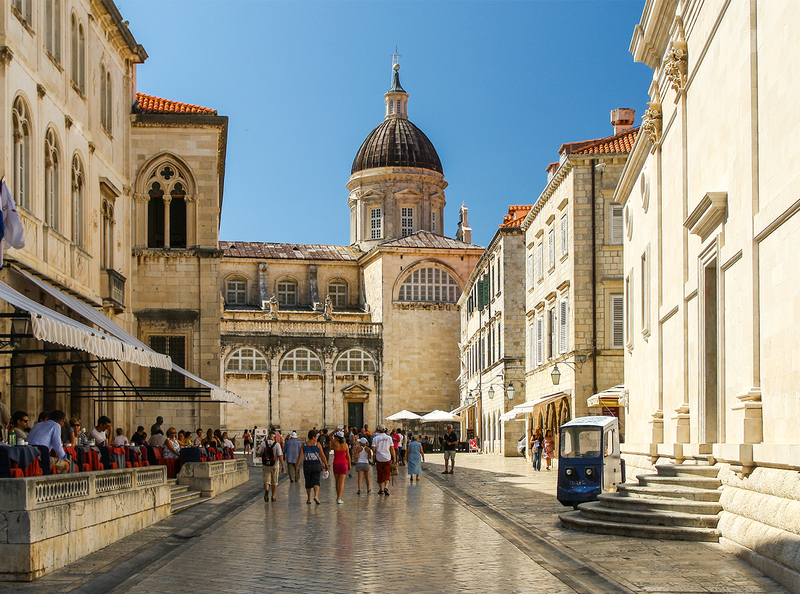 With the former, you walk the perimeter of Old Town, peering across rooftops and down into the city streets, allowing you to see Dubrovnik as it was erected: as a fortress city. Be wary of the time of day you do this, since that sun burns hot and there’s little coverage along the route, which can take an hour or two, depending on your stamina, pace, and curiosity. As for the cable car, it’s a fairly quick up-and-back trip that can be done in 30 minutes if you’re pressed for time—though we suggest you relax with a drink atop the cliff, admiring the city and a 37-mile radius vantage point. It’s humbling, and worth the $20 ticket price, especially if you take your time at the top. 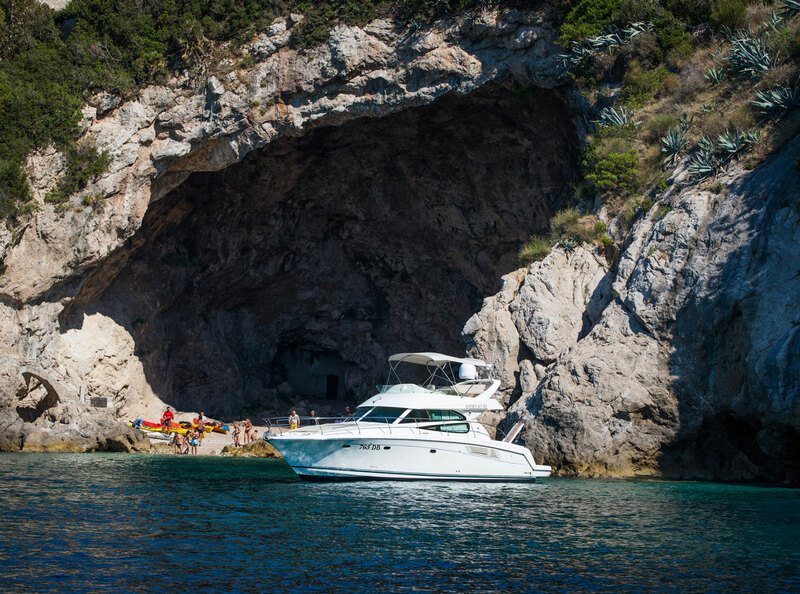 Boat tour: This is the real must-do: Book an island-hopping trip of your own design with Dubrovnik Boats. It’s not only the best way to explore some of the smaller islands (like Elaphite) and coastlines north of the city, but it also includes complementary drinks on board, underwater cave exploration (they’ll give you a snorkel kit and a GoPro for some submarine shots, allowing you to take the memory card at the end of the day). You’ll park at some remote spots for a private dip in the crystal waters, and can stay on the lake for a full or half day, depending on your schedule. We can’t encourage this trip enough—pick your boat, then tell them what you want to do, and they’ll make it happen. Lokrum Island: From any vantage in Dubrovnik, you’ll see a mass of earth 600 meters off the coast. That’s Lokrum, where you’ll spend one of your days. Boats depart City Harbor every half hour from 10 a.m. until 6 p.m. (and one at 9 a.m. as well, but check the latest timetable), and they return every 30 minutes on the quarter-hour intervals between. There’s an 11th-century Gothic-Renaissance monastery sheltered by lush gardens with a manicured cloister garden inside its walls. You can hike the trails around the island, noting the central, cypress-lined “Path of Paradise”, or cruise through the botanical garden to remark on the 800 plant species that reside there—many of which are endangered. You should also plan on a beach day here, in the north at Galija beach (which is probably easier to access with a kayak from the city, to be honest) or in the southeast at the island’s main public beach. Cultural History Museum: Included in the Dubrovnik Card, this one is worth it just to meander the rector’s palace in which it’s housed. You can see over 10,000 artifacts dating between the 15th and 20th centuries that help explain Dubrovnik’s rich and creative heritage. 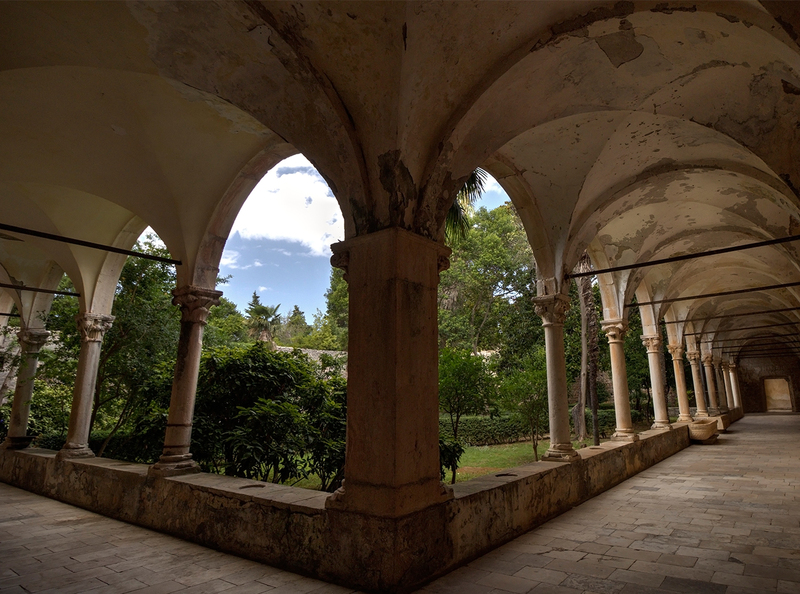 Museum of Modern Art Dubrovnik (MoMAD): Another grandiose building—this one is a seaside mansion. MoMAD houses 3,000 works of art, most of which are Dubrovnik adjacent in some way. Various Game of Thrones tours: If you’re a fanatic, you really can’t miss this. Just prepare yourself for the heat. Above 5: You’d think that Dubrovnik has a bunch of rooftop restaurants, but this is the sole one. Lucky for you, it’s far from gimmicky, and one of the best meals (and cocktails!) in town. Their menu changes with the season, using regional Mediterranean ingredients. Above 5 has covered its bases for any hot days (with an overhead shade and cooling fans). Book any time, though a sunset dinner or moonlit nightcap would highlight your entire visit. If you’re interested in staying within the city, too, the restaurant sits atop a charming boutique luxury hotel, Stari Grad, with an onsite spa, rooftop breakfast, and just eight rooms, for a cozy, off-the-beaten path reprieve inside Old Town. Whether you’re dining, staying overnight, or both, the hospitality here is unparalleled—you’ll feel like family. Konoba Dubrava: I’m getting goosebumps just recalling this dinner, tucked away in the hills behind the city. Konoba Dubrava is a cheap, 20-minute taxi drive away, with insane vista panoramas along the way. It offers really traditional, fresh Croatian fare. Most notable is peka, which is lamb (or other meats) cooked for a few hours under a hot iron bell. You can even order slow-cooked octopus. That said, you should make a reservation online and let their team know you want to order the peka—and which type of meat—ahead of time, since they need to prepare it in advance of your arrival. Imbibe local red wine as you’re serenaded by musicians singing traditional songs; it’s going to be one of your most memorable experiences (among many) from the trip. They’ll even call you a cab home, so you don’t have to roll yourself down the hill, which is what you’ll feel like doing after this happy feast. Azur: You’ve got to stroll a bit to find this “Cro-Asian” fusion joint, and make a reservation so you can sit outside. Since it’s beyond the main stretch, you won’t get too many passersby ogling your Mediterranean-Korean tacos. Lady Pi Pi: Walk all the way up the hill in the city center, to the secluded and charming Lady Pi Pi. They don’t take reservations, but they do serve the best barbecue within these walls. Buza Bar: A literal “hole in the wall” bar that’s built into the cliffside, Buza is a tourist hotspot that gives you the best sunset views paired with delicious cocktails. Victoria Restaurant: While much of Dubrovnik is suitable for GoT and Star Wars sets, the Peruvian-Adriatic fusion restaurant and bar at Villa Orsula feels like a scene from a Nancy Meyers or Richard Linklater film. It’s serene, idyllic for thoughtful conversation over seared tuna, live jazz, and candlelight—with endless blue panoramas no less. 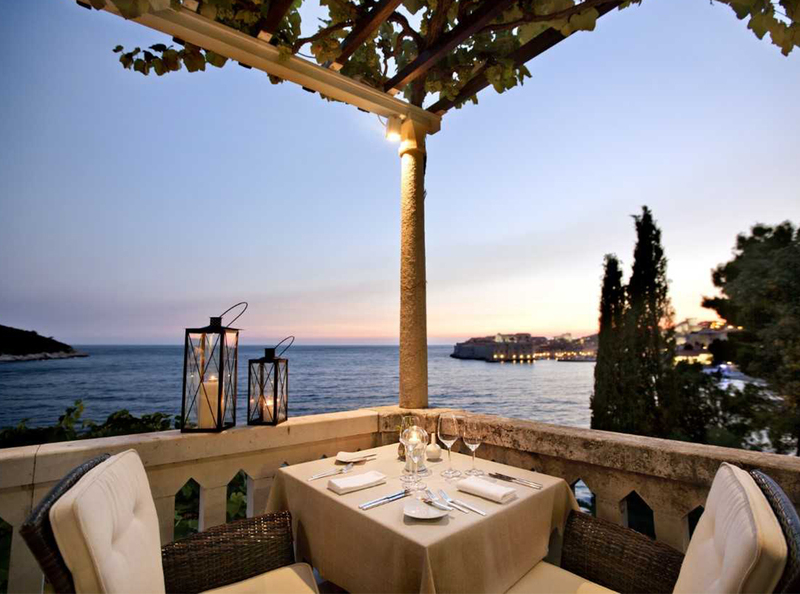 Taverna Maslina: Perhaps you’re staying at Hotel Dubrovnik Palace for the weekend, but if not, here’s your excuse to head to the peninsula for exquisite seafood and live music with stress-halting views of the sea. Order the Fisherman’s Pot if you’re feeling adventurous. It’s a mix of shrimp, lobster, fish, and shellfish, garnished with herbs and plum tomatoes, all braised in white wine. 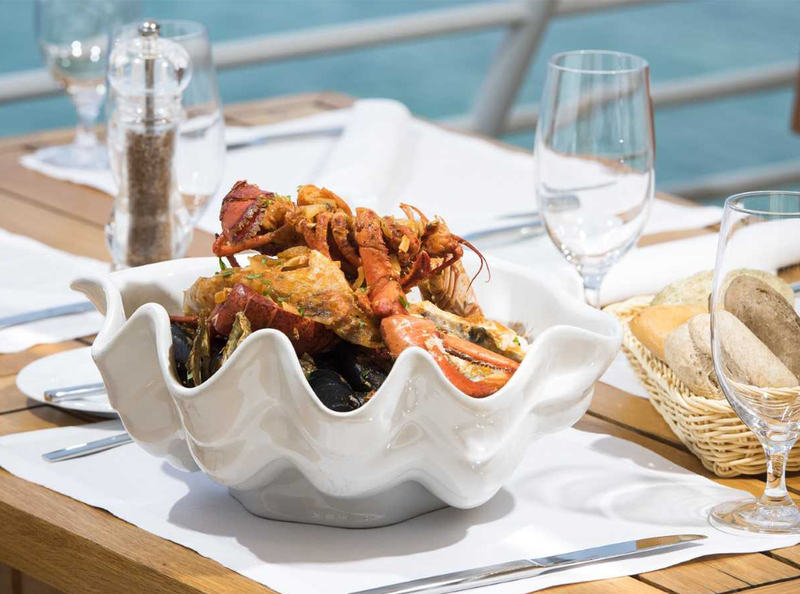 Proto: The finest seafood spot within the Old Town—request a seat on the terrace for a romantic, more secluded meal. D’Vino Wine Bar: Where you’ll sample the region’s best grapes, or those from around the world. Come for dinner, or even breakfast.